HTC announced two versions of the U11 Life and U11+ with Oreo out of the box and now it is bringing its existing devices up to speed, starting with the HTC U11. HTC is already pushing the upgrade to U11 owners in Taiwan with other markets expected to follow soon. The update’s version is 2.31.709.1 and is 1.33 GB in size. 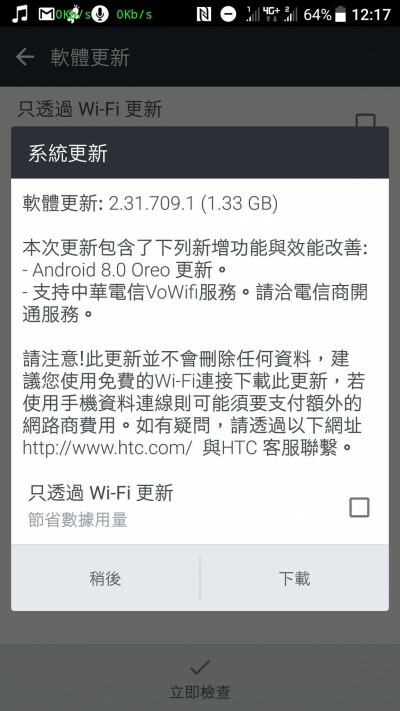 Along with Android 8.0 Oreo features, the upgrade brings China Telecom and VoWiFi support. if you consider quality an updates, you can also consider Nokia.